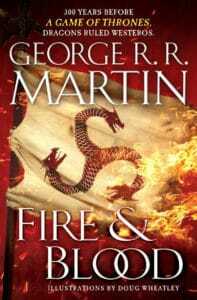 Fire & Blood by George R.R. Martin Coming November 2018 | Nerd Much? George R.R. Martin confirmed on his NotaBlog this morning that The Winds of Winter would not be gracing us in 2018. Shocker. But he did announced that a new book in the A Song of Ice and Fire franchise would be. It’s titled, Fire & Blood. 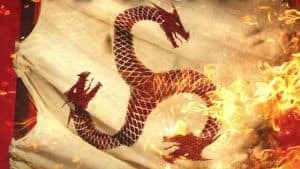 The book is being written in character by “Archmaester Gyldayn of the Citadel.” It’s considered the first half of his documented history of the Targaryen kings. Martin states that he has seen the Archmaester’s manuscript. He jokes that “Since it was handwritten on vellum with a quill pen, he required my help in transcribing the text to a more modern format: WordStar 4.0, on a DOS computer.” Martin is notorious for writing his novels on the laughably old tech. The author confirms that the historical text was sent to his publishers a few weeks ago. It will be published simultaneously in the U.S. and U.K. in November. The book comes in with some girth. It will containt 989 pages when published. The first edition of Fire and Blood will follow the events of of all the Targaryen kings from Aegon I through the reign of Aegon III. 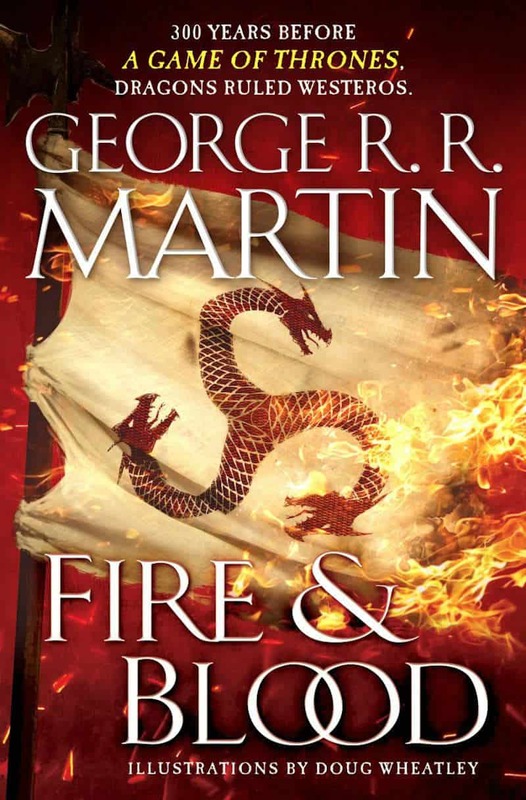 Fire & Blood is coming to us courtesy of Bantam Spectra and HarperCollins Voyager. The title will be available in a hardcover edition as of November 20th. Hopefully this will help appease all of those waiting for the 6th Ice and Fire title following A Dance with Dragons 7 years ago.